Every year, millions of people are injured in auto accidents, many of which are caused by the negligence of another driver. While some of these crashes can’t be avoided, many can be prevented by practicing safe driving techniques and keeping your attention on the road. Following the tips below can help you avoid serious personal injuries, property damage, and potential lawsuits. If you rear-end another vehicle, you’ll probably be held responsible for any damage or personal injuries. These accidents are usually caused by drivers following too closely or who aren’t paying attention to traffic, so avoid driving distracted, and leave at least a three-second gap between your vehicle and the car ahead of you. 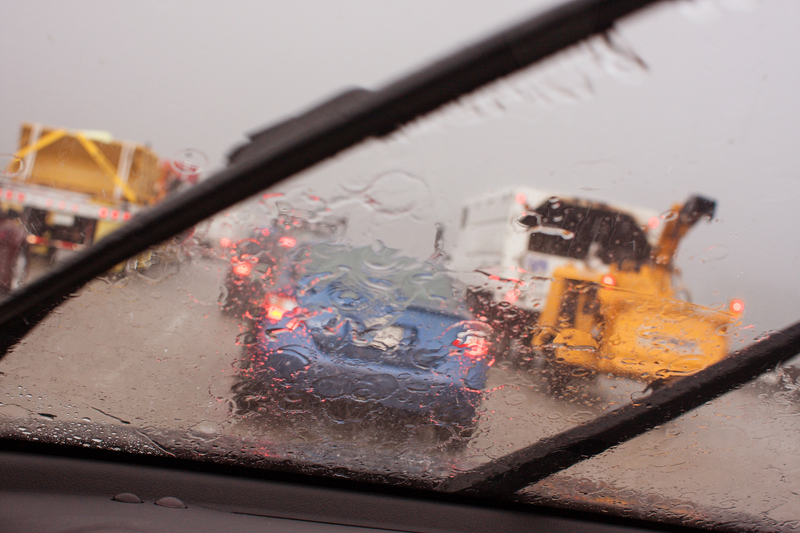 At high speeds, even a thin layer of water on the road can cause hydroplaning, making it impossible to control your vehicle. Replacing your tires when the tread wears down and slowing down in rainy weather can reduce your risk. If you do start to skid on a slick road, release the accelerator and gently apply pressure to the brake. These accidents, which frequently result in serious personal injury and even death, are often caused when one driver runs a red light or pulls out into traffic without looking. Vigilance is the only way to avoid these deadly incidents, so pay attention to all road signs, watch for signals and the behavior of drivers around you. If you’re making a turn or pulling out of a side street, wait until you’re sure it’s completely safe. If you’ve been hurt by a negligent driver, the legal team at Cada Cada Hoffman & Jewson have the expertise and dedication to fight for your rights. They’ve dedicated themselves to providing aggressive representation to accident victims throughout Lincoln, NE, ensuring they receive the compensation they deserve. Visit their website for more on their personal injury services or call (402) 477-2233 to schedule your free initial consultation.